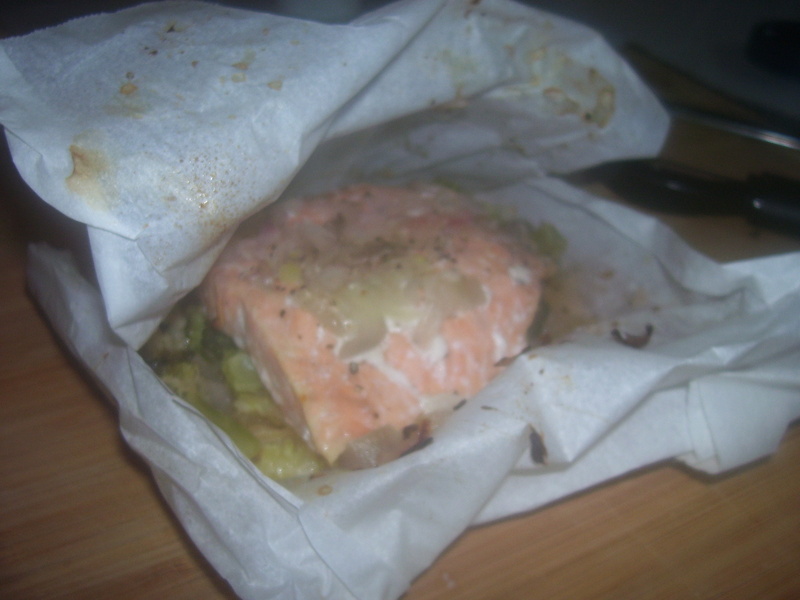 So without further ado, may I present to you: Baked Salmon Packets with Lemon and Rosemary. I’ve made this before and loved it, so I thought I’d pass it on to you! Clearly, you can see that most of the items I used were not fresh. 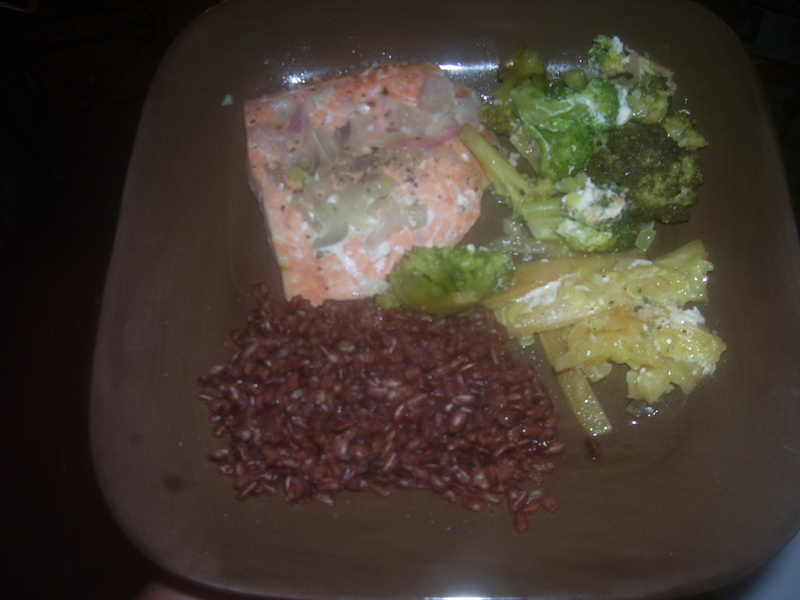 It should go without saying that fresh ingredients are best (and the end result was wonderful the time I made this with fresh food), but the thing is – I’m a real person with real every-day issues, time AND money constraints, and a 4 year old. So I used what was in my kitchen. 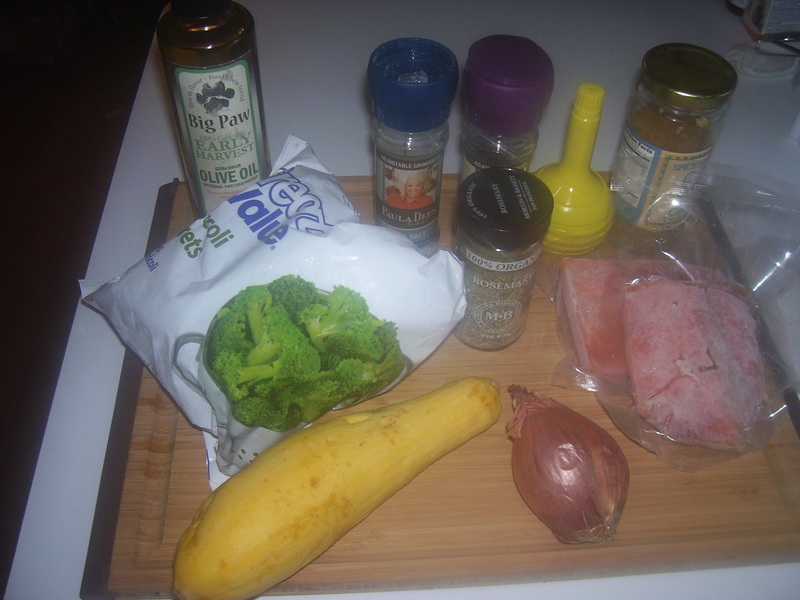 First, slice your squash, dice your shallots, and cut your broccoli. It really depends on how big you like your veggies and how much space you give yourself in your packet. I like my squash sliced then cut in half. Do it how you want. 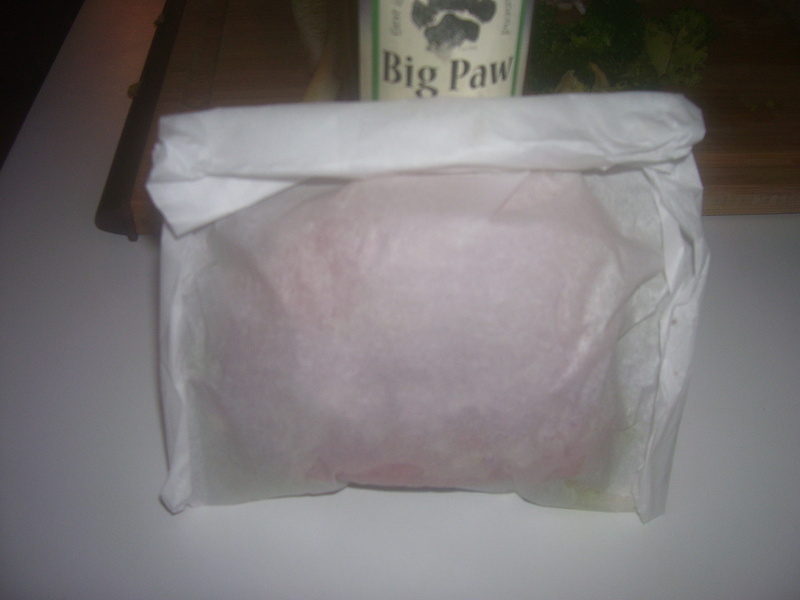 Next, cut a 12X12 piece of parchment paper (or tin foil), fold it in half, and line up some of your squash on the right side of the half-mark line. 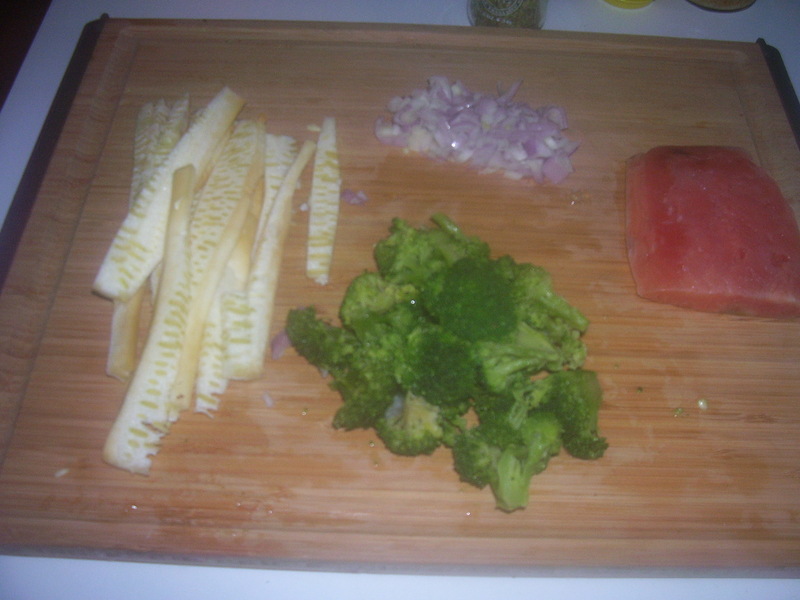 On top of that, put a serving of broccoli. 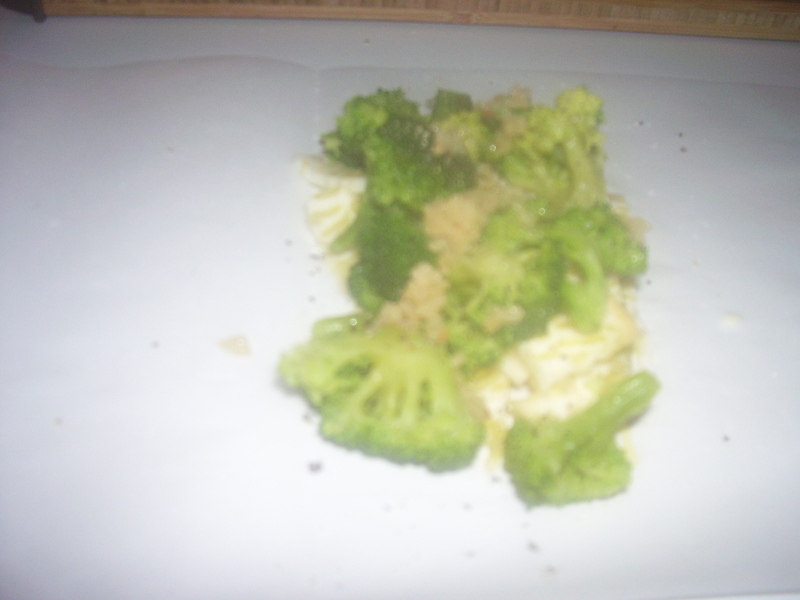 Drizzle some olive oil on top of the veggies, add a pinch of the garlic, and salt and pepper the whole thing. 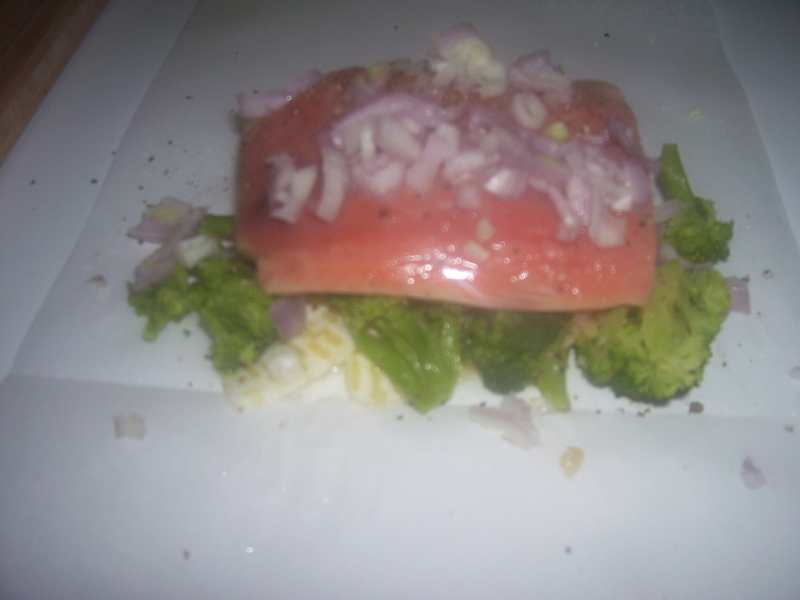 Add your slice of fish (I used Salmon) then squeeze some lemond juice over it, add the shallots, and salt and pepper the top. You’re supposed to put a sprig of fresh herb in there with it all, but when I pulled mine out of the fridge, it’d already gone bad. 😦 So I just sprinkled a bit of dried rosemary in there. From here, you just fold up the sides to make a small packet. 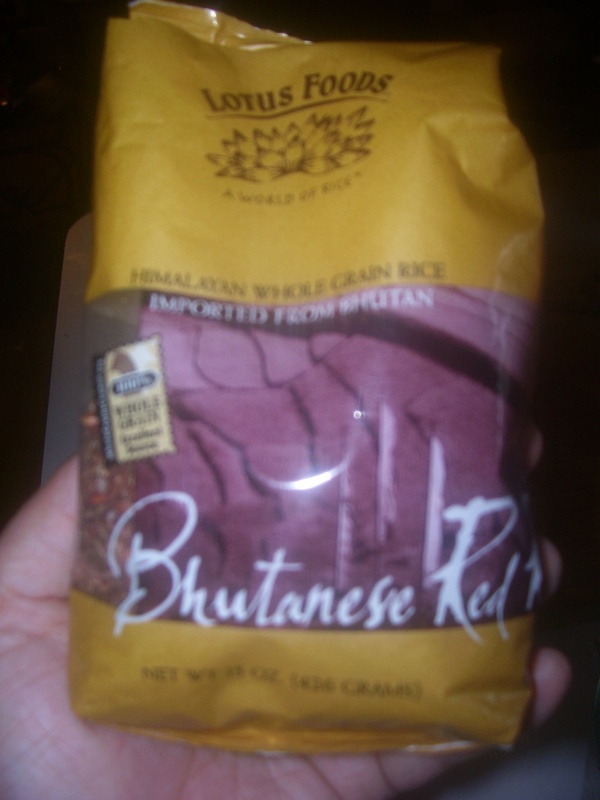 If you’re lucky like me, you have a friend who will send you treats from far-off places that can be your side dish. A million different kinds of delicious.